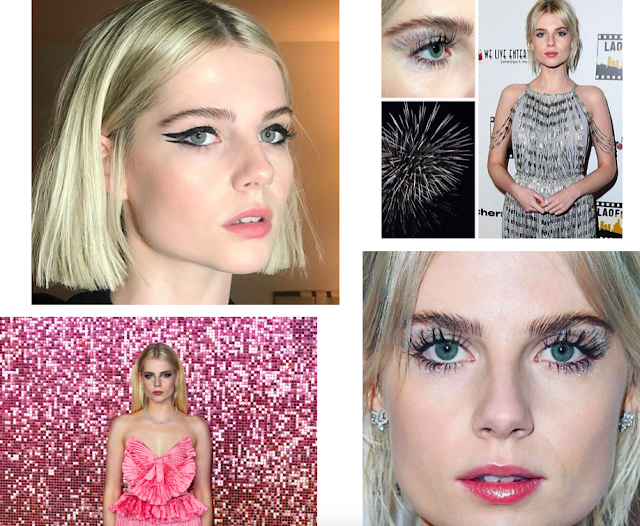 It's award season and that means that the red carpets are flooded with fashion inspiration, but as Lucy Boynton shows us, it's also about the beauty looks. 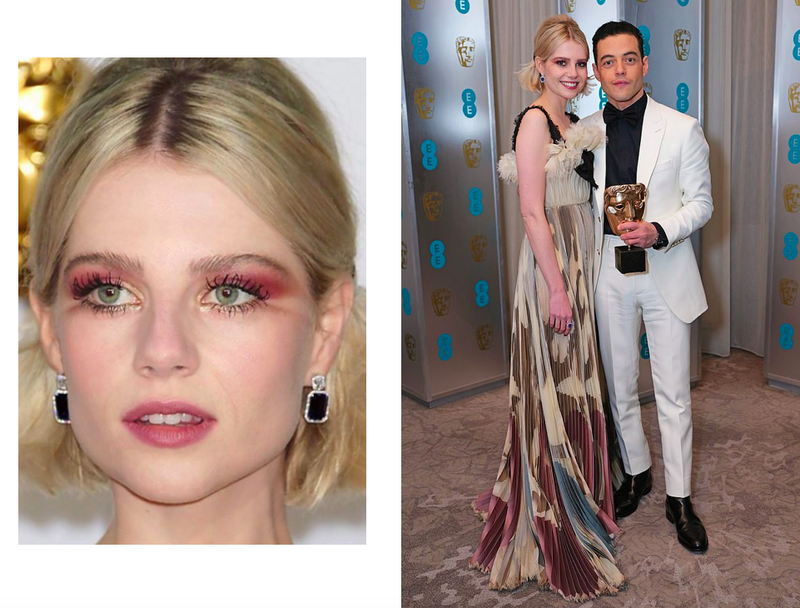 If you're not familiar with Lucy, she's the leading lady in Bohemian Rhapsody, and she's now the queen of playing with makeup. Her makeup artist, Jo Baker, has created whimsical looks for each of her appearances and I love how playful yet wearable they are! Definitely follow her at @missjobaker for behind the scenes of her creating Lucy's looks as well as her inspiration for the looks. 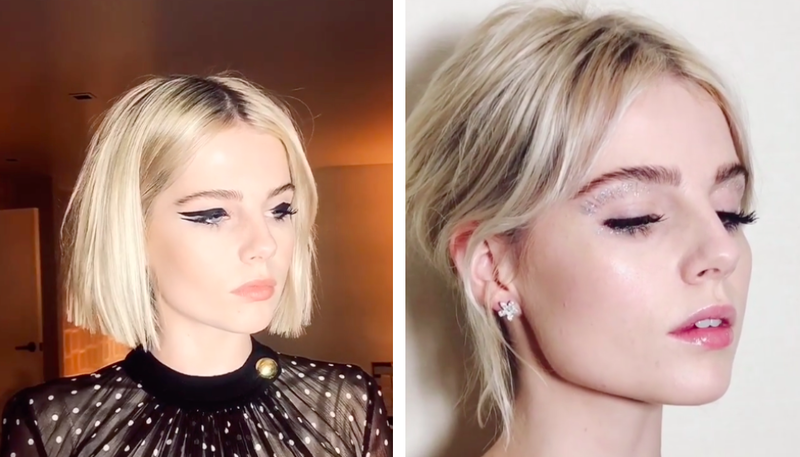 Lucy and her makeup first caught my attention at the Golden Globes when she rocked this graphic eye makeup in a Celine dress and tousled waves. Jo said she was inspired by 70s lux glamour and icons including Bianca Jagger and Jerry Hall - the look was created using Chanel makeup. 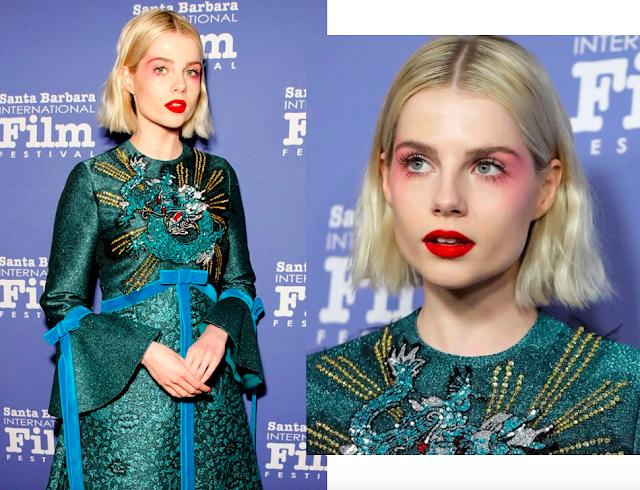 At the 2019 SAG Awards she went with a 'minimalist precision punk' look and it was the perfect mix of modern makeup with a sixties feel. 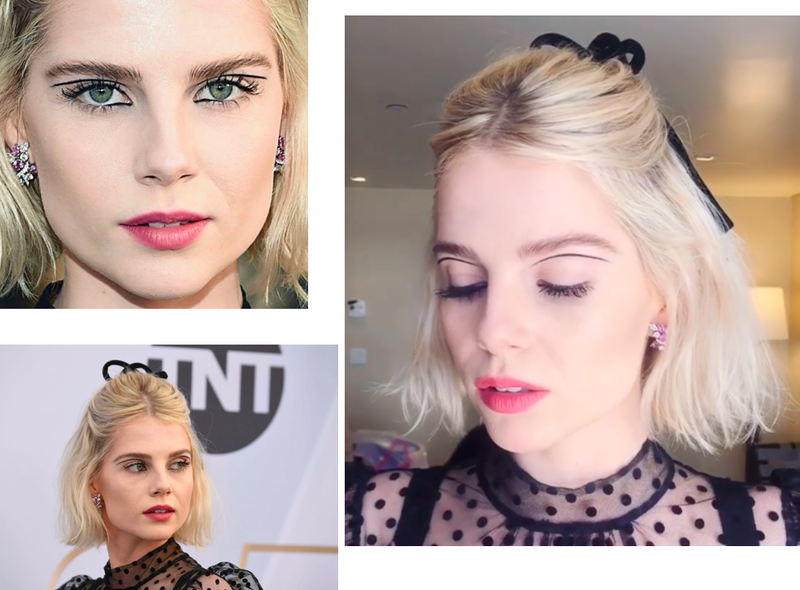 This look blew me away! It's such an editorial look but she owned it on the red carpet in a stunning Gucci dress. 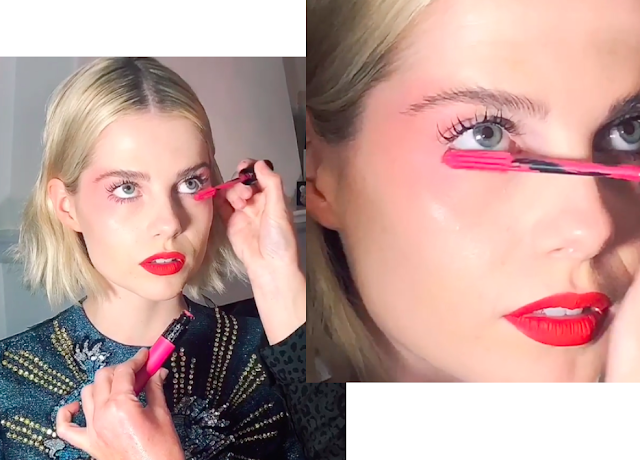 Jo called this the 'medieval geisha doll' look and used Glossier's cloud paint for the pink shadow! Jo modernized the classic cat eye with this look for a Pre-Bafta event. 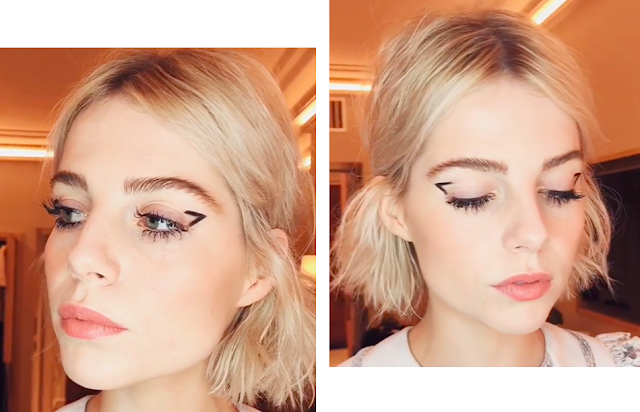 Inspired by kitten ears she used Chanel makeup to create this cute and quirky look. 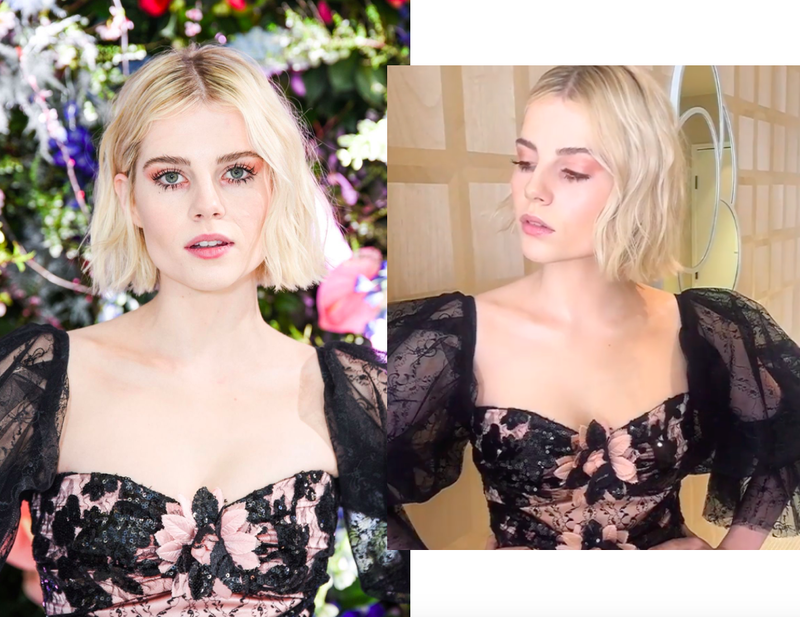 Lucy attended the Rodarte fashion show in LA and Jo was inspired by sherbet hues and Cali sunsets to create this peachy look. The Oscars are coming up and I can't wait to see what Lucy and Jo come up with next! All images via Allure, Style Caster, and Jo Baker.